Pools, open water, endless pools. Laps, strokes, speed, calories, duration, rest times, efficiency. Never forget your lap count again. All the features of the PoolMate2 and the ability download data to mypoolmate.com. Detailed metrics, downloadable, user changeable battery, vibrating alarm. Sync to iPhone, Android and computers with this stunning new watch design and large clear display. 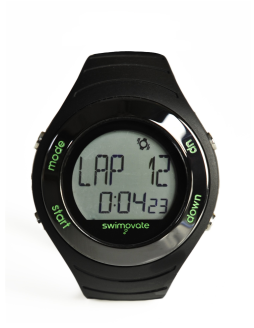 We know what swimmers want, PoolMates are designed specifically for swimmers to track all parts of your swims. We’ve been making them for 9 years, we have tons of experience and the largest range on the market. Some brands add swim functions as an afterthought or add on to their products, we aren’t like that, we put swimmers first. 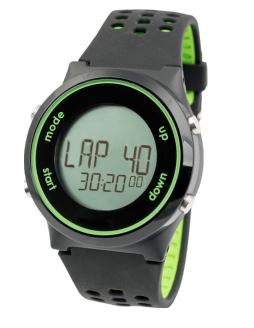 Laps, strokes, distance, speed, calories, duration, efficiency and more. As any swimmer knows, it’s easy to forget your lap count when concentrating on technique or if the mind wanders! 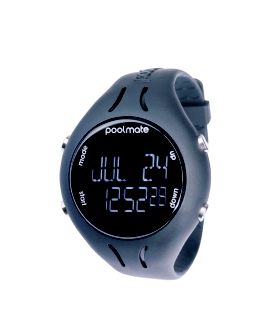 PoolMates don’t just count your laps though, they track your stroke count, distance, speed, calories, times and efficiency, and store that data for later analysis. This can help you maximize efficiency when in the pool by being able to focus more on each stroke and less on counting laps. 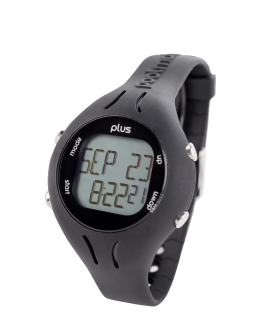 As each swim session is recorded on the watch and downloadable (in the case of the PoolMatePlus, Live and HR models), there is an added incentive to keep up the effort. No one wants to have a poor session staring them in the face each time they view their data- so PoolMates can help keep you focused and your training on track. If you struggle with motivation in the pool PoolMates can make a huge difference to your swimming. It’s easy to see if you are tiring as you complete a multi-set session and see how your efficiency is compromised. You can also time rest periods between swim sets on the watch rather than using the pace clock on the pool wall- a great help for the short sighted amongst us!